Hello! A couple of months ago, I told you about my current fave moisturizer - the iWhite Aqua Moisturizing Cream. It's water-based and very lightweight - perfect for summer! You can read my post about that *here* if you want to know more about it. Description (from iWhite): The iWhite Whitening Pack instantly removes dead skin, deep-seated dirt and other impurities to reveal a radiant, glowing, younger-looking skin. According to what I've read, peel-off masks like this are supposed to help gently remove the top layer of the skin where all the dirt and dead skin are, leaving you with smoother skin. Kinda like exfoliation. While we all want our skin to be as smooth as possible all the time, we have to note that peel-off masks are not recommended to be used too often to avoid irritation and damage that can be caused by removing too much skin cells or over-exfoliation. The product is packaged in a squeeze-type tube that contains 95g of product. 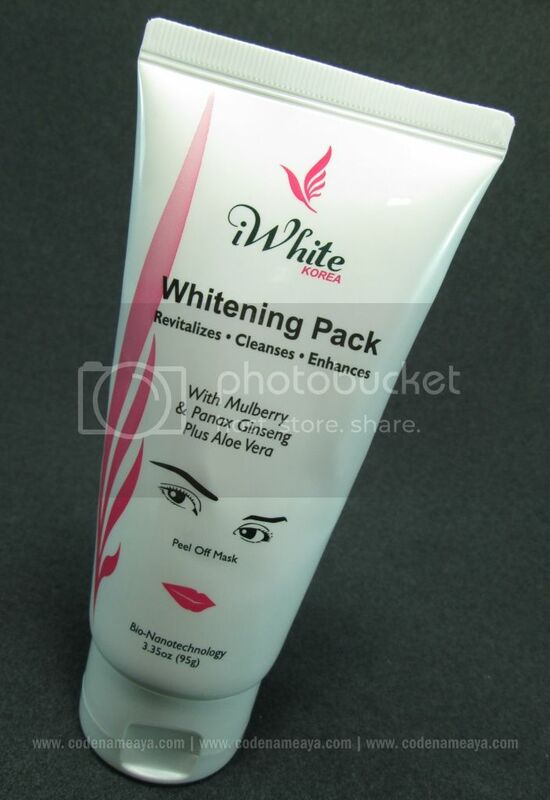 The iWhite Whitening Pack is also available in sachets that contain 8g of product each (good for one use). Very practical, right? If you just want to try the product out to see if it would suit your skin, go for the sachet. Here's what the product looks like. Anyway, to use this, I just follow these simple instructions. 1. Rinse your face and pat dry with a clean towel. Make sure your hands are clean as well before applying the mask. 2. Keep your hair away from your face using a towel/headband. 3. Apply a generous amount of iWhite Whitening Pack evenly on the face, while avoiding the eye and mouth area, but making sure it blends with the iWhite Nose Pack if you had previously applied it. While the mask is drying, avoid activities that can cause sweating. The product has a thick, goopy and slightly sticky consistency. Application can get a bit messy at first when you're not used to it yet. The product also sometimes gets stuck on my nails upon application. (I keep my nails a bit long pa naman. Haha.) Anyway, it's nothing that wipes can't handle. I like to keep wipes on hand every time I use this mask so I can wipe the product off my fingers anytime I need to. This product doesn't irritate my skin in any way while it's on my face. It gives off a slight cooling effect and dries pretty quickly, too. I can actually feel it hardening on my skin as it dries. It doesn't slide off my face once spread evenly. 4. Wait for 15 minutes or until the mask dries, then peel the mask off from bottom to top or vice versa. 5. Rinse face or apply moisturizer after peeling off the mask to remove any mask residue. For best results, use 2-4 times a week. Here's what the mask looks like after peeling it off my skin. After removing the mask, my face feels really smooth and clean. The mask doesn't leave my skin feeling sticky at all. My skin appears a bit brighter after, too. After peeling the mask off, my face feels a bit tingly. Effect of the 'peeling/pulling' part, I guess. Nothing too uncomfortable. I just splash my face with water after to somehow soothe my skin and at the same time rinse away any mask residue. 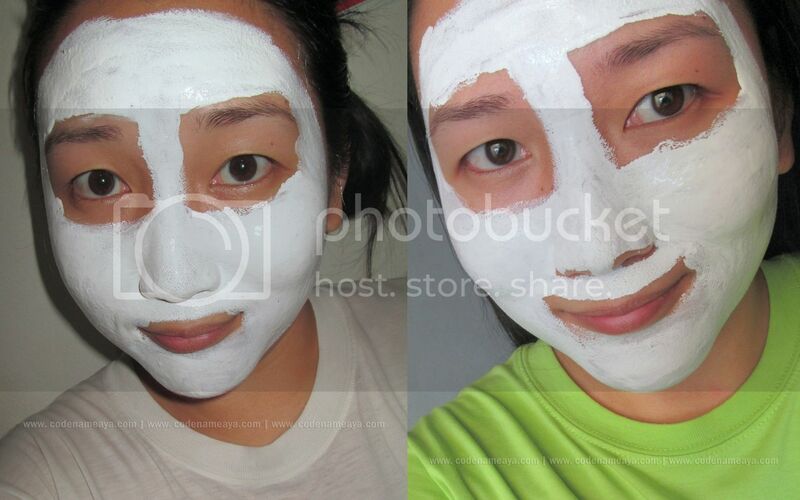 The mask is not strong enough to remove the blackheads on my nose area, though. The mask usually bubbles up on my nose area no matter how thick the layer is, but I don't mind since iWhite has a different and more suitable product for that particular skin concern (the iWhite Nose Pack). I actually sometimes use the nose pack together with this whitening pack. What I do is I apply the nose pack first on my nose area, then I apply the whitening pack on the rest of my face. Widely available locally - Available at Watsons outlets and leading department stores and drugstores nationwide. A bit messy to apply - I keep wipes on hand every time I use this product! My fave, too' especially the nose pack! that's super cool! Will try this out soon :) are those blackhead lifted using that product? amazing! I have only tried their nose pack & i can say that korean products are really cool. This looks promising. I know it's gross but I also peek into the mask to see all the gunk lifted on my face. I feel so clean after hehe. I've tried this before. But no bueno... maybe I should use it a lot to see optimal results. I have been using this product and it's really worth it. It is feels so refreshing after use. Aww. In my experience naman, the nose pack is effective in a way. It can pull stuff off my nose although it can't remove ALL my blackheads. I guess I have to use it more often. I don't use it regularly eh. Aww too bad. It's ok naman for me although it can't take off all my blackheads. I still find it effective. i have this and i love it,just dont remember the price ! how much is this again ?? CAn 15 year olds use this product? Hndi po ba to harmful sa skin nila?